Home > Events > Awana Fishbowl Night II! This Wednesday is Fishbowl Night II! On this night we will have a fishbowl for the Sparks and for each of the T&T Clubs. Every time you complete a section and get it signed off, you will get your name written on a ticket that will go into your club’s fishbowl. 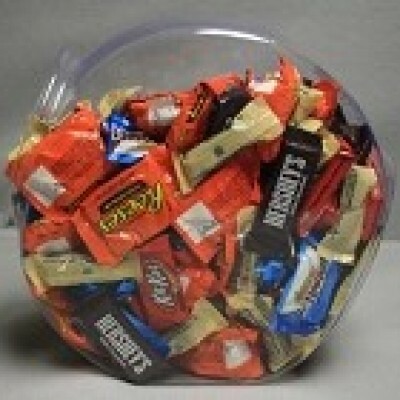 At the end of the night, we will draw names from the fishbowl and award regular sized candy bars to the winners! The more sections you pass, the better chance you have to win a candy bar. This is a great week, with an extra incentive to make progress for those who are close to finishing their books this year! So get your sections memorized and be prepared for a yummy Fishbowl Night!